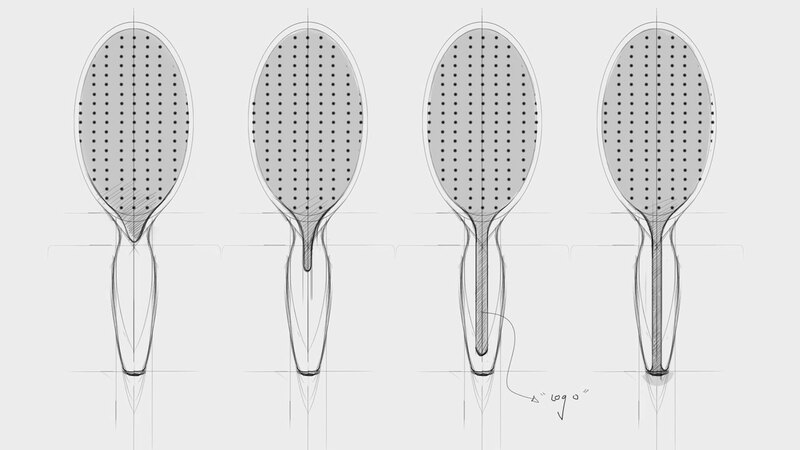 brush holding a unique patent allowing its user to dry hair faster when brushing. Its main target are women, sensitive to the “Parisian” lifestyle and the exclusivity of the product. The colours and materials are neat and fancy, in order to meet the customer’s expectations. 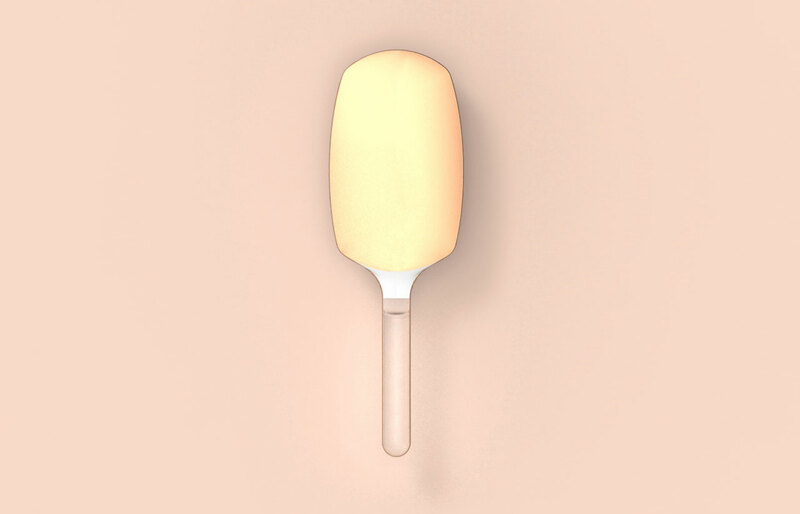 positions of the object, and taste. Customers are very demanding, so the product need to be worked in every details, so small are they. 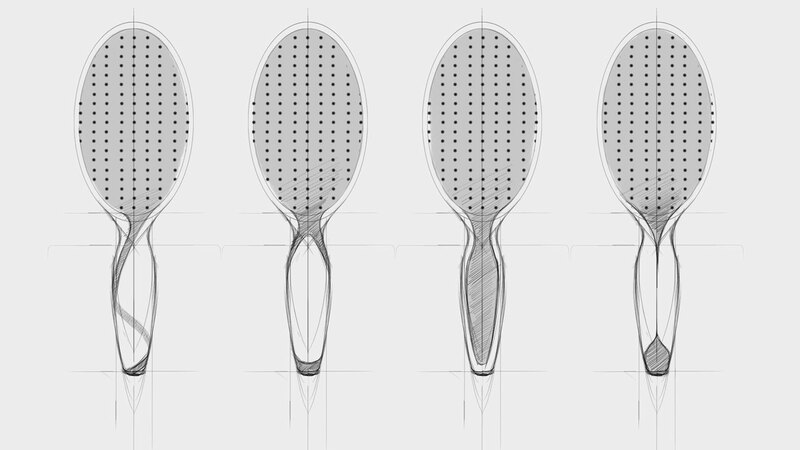 I thinked and sketched every parts of the brush, the handle, the back, the aerations and the spikes. The clients wanted a minimalist design, focused on the innovation, the drying system. So I had to make the handle disappear, I used transparent an Acrylique with a matt finishing to keep the grip optimum. To allow the innovative pins (technical patent) to remain dry out of use, I had to position the vents on the side. 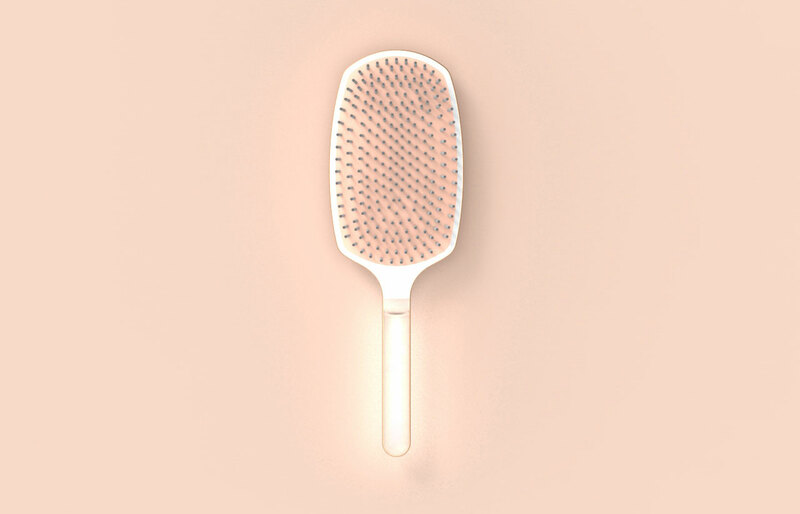 I was able to have the back of the clean brush to the maximum.